United States Hockey Hall of Famer Jeremy Roenick asserted that the use of anabolic steroids was currently non-existent in the National Hockey League (NFL). Roenick’s definitive statement regarding steroids in hockey was made in response to the steroid allegations made by Georges Laraque in his recently published autobiography entitled “The Story of the NHL’s Unlikeliest Tough Guy”. 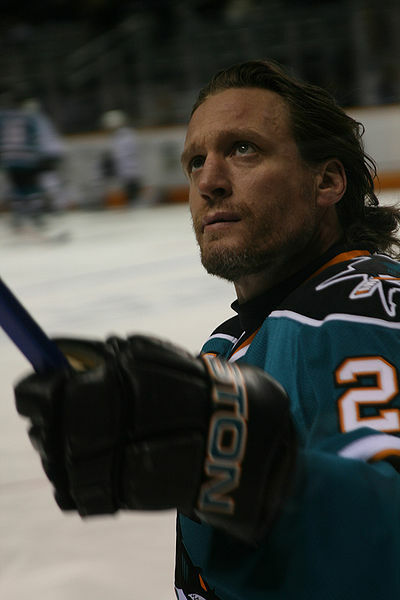 Roenick made the surprising comments on steroids in an interview with Rob Pizzo on the Backhand Shelf Podcast. Laraque had stated that steroid use was relatively common in the NHL. He claimed most players were aware of steroid use in the game and they knew which players were using the drugs but would never reveal their identity due to the code of silence. Roenick is not the only NHL player to disagree with Laraque’s perception of steroid use in the NHL. Several current and former NHL players have participated in a backlash against Laraque’s allegations. Toronto Maple Leafs defenseman Dion Phaneuff claims he’s never seen any hockey players use steroids or even talk about the use of performance-enhancing drugs. Ottawa Senators center Zenon Konopka criticized Laraque for speaking on a topic which he knows nothing about. Even though Laraque has strongly resisted comparisons to Jose Canseco and his book about steroids in baseball, many people are considering Laraque the “Canseco of hockey”. Laraque has not identified any steroid users among his former teammates and has reiterated that he has not plans to do so. However, the mere possibility that Laraque could name NHL steroid users has clearly irked several people.